Love this phone - one of the big issues I had with it was battery life, but after rooting and putting CyanogenMod on it, I don't have this issue any longer. Not sure if that is because of the improvements in Android's battery usage in the later version or thanks to my underlocking of the CPU down to 240 MHz when the screen is off (overclocked to 800 MHz when the screen is on). Stetson, 29 Dec 2010I have reviewed this website for a long time to check out what my next step should be whenever... moreyou are rite,for me one of the best phone out there and knowbody talks about it. And I love the keyboard. I have reviewed this website for a long time to check out what my next step should be whenever looking for a different cell. I am typing this up with the MyTouch Slide's QWERTY keyboard, and I have to say, this phone is golden. It will put most other Droid operated phones to shame. Multitudes of features that are run on fluent technology. Definitely gets a 12 out of 10 from me. (Just be sure to uninstall apps that you aren't/don't use. Pleaseeeeee anyone knows when the update is going to come out. I means froyo 2.2 or 2.3 whichever,wifi calling will be nice. I had my doubts a first, but now I don't know what I would do without my mytouch slide 3G. If it ever breaks, I will definitely buy another. They are great. well worth the money. This phone is amazing, never been much of a touchsreen fan, which is why i got the slider but,droid's touchscreen swipe keypad is cool (i've only used the slider only twice since i've gotten it)and other features make this phone the best in it's pricing and class. Can't complain about this phone since it's perfect in every feature. However, the 320x480 screen does not allow you to enjoy good games. In general, I love this stuff. 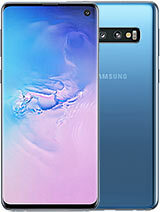 i am gonna get this phone. Tell u more when i receive it. tell me about games can u play 3d games like iphone? i hav T-mobile its over two year so i can get discount yeaaa aa so i get this phone about $50 NOT BAD. Mytouch slide is the best cell out there nothin compares. Android market!!! Rocks free downloads tons of space on my phone for whatever!! Pandora is a must! Anonymous, 04 Oct 2010it is senseActually, the UI name is Espresso. Its T-Mobile's version of HTC Sense. Essentially its the same process but a different look. Its just not branded "HTC Sense". Hey Please Tell Me Does myTouch 3G Slide Support Skype ?? Any alternative application on which one can have voice chat or video chat?? 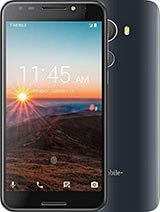 How much internal memory does this phone have? Total of 291 user reviews and opinions for T-Mobile myTouch 3G Slide.